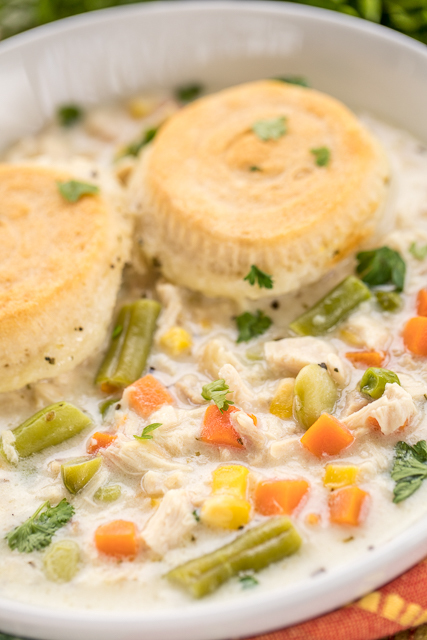 This Chicken Pot Pie Soup is comfort in a bowl. 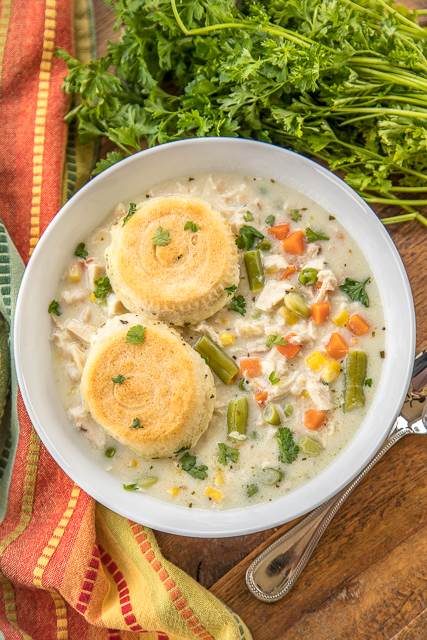 I mean, creamy chicken and veggies topped with biscuits. YUM! Perfect for this time of year. It helps take the chill off on a chilly night. The best part about this recipe is that it is ready in about 30 minutes. Just put everything in the pot, bring to a boil and let it simmer. 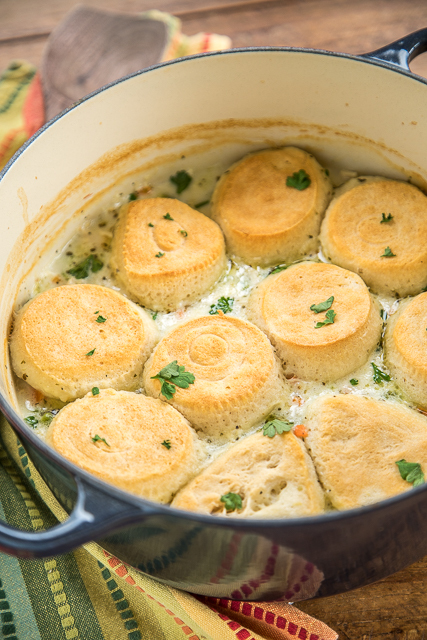 Once the soup is done, top it with some biscuits and pop it in the oven until they are done. This is truly a one-pot meal. 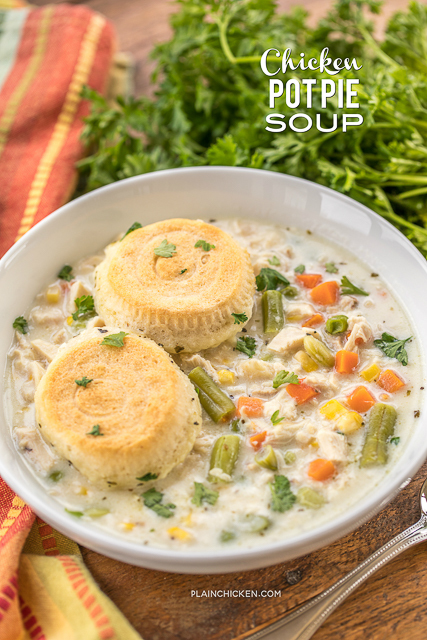 This Chicken Pot Pie Soup was a big hit in our house. We both ate one bowl and went back for seconds. It was seriously delicious. It is truly comfort in a bowl! This recipes uses a small can of refrigerated buttermilk biscuits. It is the old school 7.5-oz can of biscuits. If you can't find them, you can substitute the Grands or Grands Jr biscuits. You might need to adjust the baking time at the end if you use bigger biscuits. You could also cut the Grands biscuits into 4 pieces and place them on top of the soup. That way, there are enough biscuits for everyone. In a Dutch oven, melt butter. Stir in flour and cook on medium high heat for 1 minute. Slowly whisk in chicken broth. Bring to a boil and reduce heat to simmer. Add milk, chicken, vegetables, garlic powder, onion powder, salt and pepper. Simmer for 10 minutes. Gently place biscuits on top of soup. Bake, uncovered 12 to 15 minutes, until biscuits are golden brown.